In this Nov. 3, 2012 file photo, Charlie Murphy speaks onstage at Spike TV's "Eddie Murphy: One Night Only" at the Saban Theatre in Beverly Hills, California. Dave Chappelle, Cedric the Entertainer and George Lopez were among comedians who gathered to say goodbye to Murphy, who died last week. 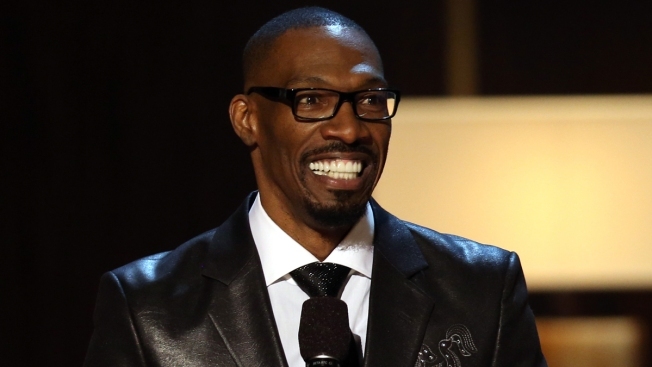 Dave Chappelle, Cedric the Entertainer and George Lopez were among comedians who gathered to say goodbye to fellow comic Charlie Murphy, who died last week following a battle with leukemia. Cedric the Entertainer posted a photo on Instagram of the group of comedians wearing black at what appeared to be a funeral home. In the caption he wrote: "Tonite we joined Family n Friends to pay tribute and lay to rest our brother the Legendary #charliemurphy." The 57-year-old Murphy is best known for his work on Comedy Central's "Chappelle's Show." He was the subject of popular sketches in which he retold his adventures with younger brother Eddie Murphy and celebrities like Prince and Rick James. "Chappelle's Show" co-creator Neil Brennan also attended the Wednesday service.